branding for the new building at one world trade center, by wordsearch. looks like a powerful and substantial wordmark so far, it will be interesting to see how it plays out in practice. see more at underconsideration.com. 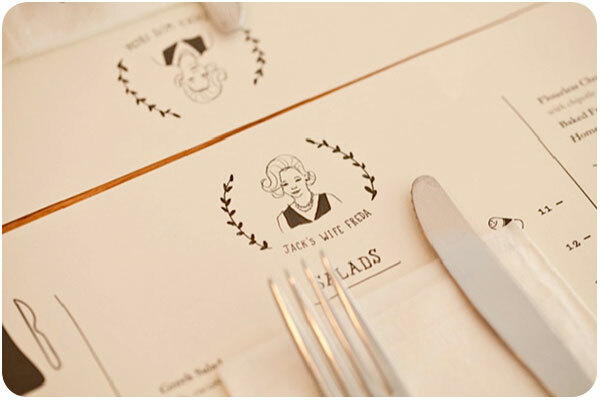 it was nice to see this identity & menu design for jack’s wife freda on art of the menu, since we were just in new york last month and ate here for breakfast. i’ll admit, aside from the good reviews, i was attracted to the cute illustration and simple style. i love how the very menu you eat on as a place-mat is placed directly on their site as well. nice work & good food! will newtypeyork.com ever update their blog again? i was really enjoying the great type specimens from around town, and thought i’d share this lovely subway sign, also from grand central station. finally, with the may protests that started yesterday, michael beruit takes a look at the original adbusters poster calling for occupation of wall street, and asks the question: does political graphic design matter? < is your social media marketing working for you?